Ah, Monopoly. That classic board game that seems to be a feature in everyone’s cupboard, brought out only occasionally with the intention of some good family fun but more often than not, a good old-fashioned family argument about how Dad got that many hotels and why you’re taking it easy on the amount of debt that your Nan owes. 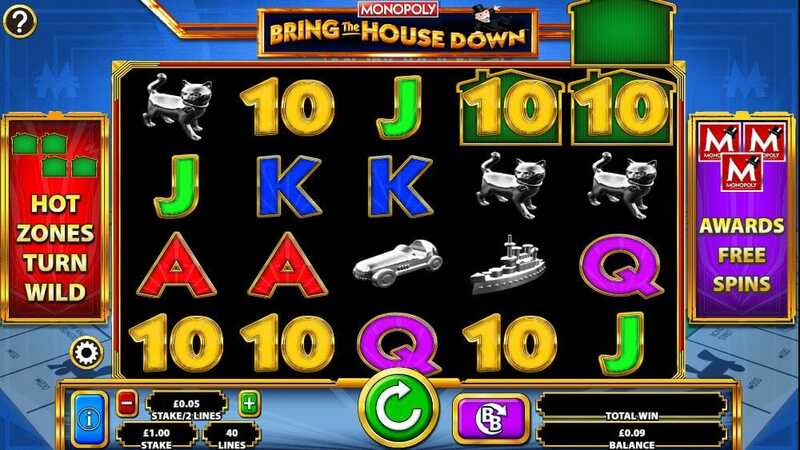 In this new online slots game, you get all the good bits of Monopoly without any of that family tension. So what's not to like? Barcrest is no stranger to slot games; be they online or in pubs, clubs, bars and chip shops all over the land. They’ve been making them for years and as such, it’s fair to say they've got pretty damn good at making them. Their games always have a retro feel thanks to the themes that they choose, be it Luck of the Irish, Ancient Egypt or in this case, a board game classic. Barcrest is a legend of the slot game, but have adapted well to the world of online gaming as illustrated by the various bonus features in this game. Get the best out of our new slot before you play the game! What else, other than a Monopoly board, could provide the backdrop for this game? The board does the job and the game looks smart and somehow familiar as a result. Symbols are made up of cards when it comes to the lower options on the reels, but the old favourites like the dog, car, ship and cat provide higher-paying symbols that you used to whizz around the board game after Christ-mas dinner and a nap. On each spin, Hot Zone Wild patterns spin additionally to the reels so look out for any Hot Zone Symbol which is represented by the greenhouses and the red hotels that your Dad sued to stock up on. Rather than avoiding them like back in the day, you want these to prop up as often as possible as these are effective as Wilds. This then triggers the Hotel Upgrade feature which adds a random multiplier of up to 5x, to all Hot Zone symbols. If the Hot Zone House or Hot Zone Hotel symbol land on a Monopoly symbol, the 2 symbols are combined to create a big bonus. Also, look out for the Free Spins feature, too. This will occur when you get three Monopoly symbols on the reels of 1, 3, and 5 simultaneously on the same spin. The symbols will then remove themselves from the reels and the Free Spins begin, with a random amount being awarded.